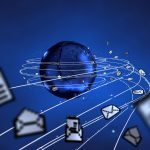 Telebehavioral health and recovery support can assist with the expansion of services and improve client outcomes. 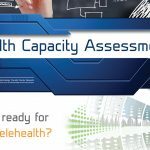 According to the US Department of Health and Human Services (HHS), Health Resources and Services Administration (HRSA) (2013), “Telebehavioral health may be one of the more successful applications of telehealth across the spectrum of clinical services, as outcomes and patient acceptance for telebehavioral health are comparable to face-to-face visits.” It is essential to ensure professionals providing services using videoconferencing mediums obtain comprehensive and specific training and supervision in order to offer best quality of care. 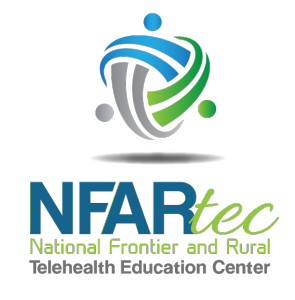 The National Frontier and Rural Addiction Technology Transfer Center (NFAR ATTC) has developed two eight-week, 20-hour, web-based TelePractice Improvement (TPI) Series that provide interactive training and consultation to professionals delivering behavioral health services in an online environment. The TPIs are structured to provide online interactive training, skill-based learning and practice, group and self-study activities, reading assignments, and discussion in topics essential to utilizing technology to provide clinical services and/or supervision. 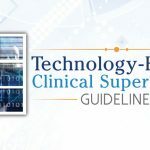 NFAR will be conducting a second round of the TPI Series on Technology-Based Clinical Supervision (TBCS) and Skill-based Videoconferencing (SbVC) in June. For more information and how to register please see below. The first 20 registrants will receive a scholarship that covers the entire $250 cost of participation in the series. TPI: TBCS & SbVC have been approved for a total of 20 contact hours through the National Association for Addiction Professionals (NAADAC). In addition, TPI:SbVC also meets the requirements of the Florida Certification Board to be deemed a Certified E-Therapist. The requirements include the following: 1) Professional Ethics in E-Therapy – 5 hours (3 online, 2 self-study); 2) Clinical Principles – 5 Hours (3 online, 2 self-study); 3) Legal and Jurisdictional Implications – 2.5 Hours (1.5 online, 1 self-study); and 4) Electives directly related to the provision of Telebehavioral Health.